Currently I’m working on a new internet mode for UrBackup. 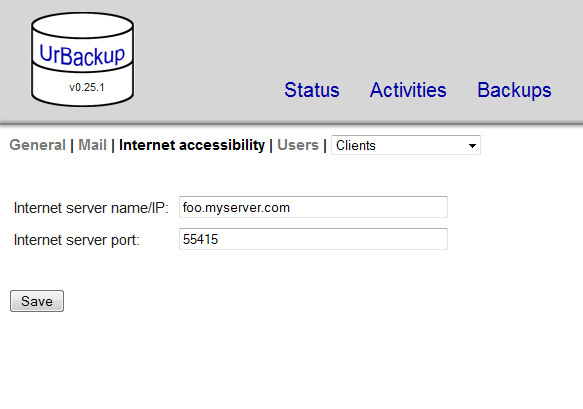 This means that you will be able to backup clients to a server on the internet with the upcoming new version. This communication is of course encrypted and authenticated. It uses a shared key encryption with AES256 in CFB mode. It should be easy to configure: You just need to supply the server with its internet name/IP and the ports the clients should connect to. These settings, as well as random keys, are then pushed to the clients via the local (trusted) network. They can be manually entered on the client side as well. Then the key is pushed from the client to the server. 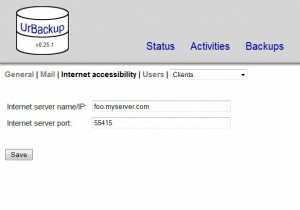 If you are not in the local network the client tries to connect to the internet server, if you entered something (e.g. a dns name or IP address) there. Then both check if they have the same key and if they do have the same shared key a normal connection, like if the client were in the local network, is established and backups can be performed. I’ll now implement special options for disabling image and full file backups for clients connected via internet. Then I will implement a special, block based file (rsync like) transfer mode which will be used for those clients and which transfers less data in some scenarios. Then you can look forward to backup archival and more detailed backup retention capabilities, which I’ll be working on next.